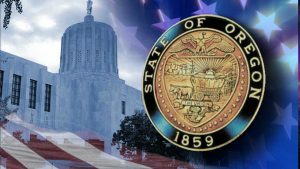 SALEM, Ore. – The preliminary results of the midterm elections are in, and numbers show Democrats have secured a major victory in Oregon. Election tallies from the Oregon Secretary of State show Democrats now have a supermajority in the Oregon House and Senate after at least four seats flipped in both chambers of the legislature. Now, they have the power to raise taxes and pass other revenue-raising bills that require a three-fifths majority without the need for any Republican support. Notably, Republican Jessica Gomez failed to gain enough votes to replace retiring District 3 Senator Alan DeBoer (R-Ashland.) Democrat Jeff Golden will take that seat, giving Democrats the 18 seats necessary for a supermajority in the State Senate.